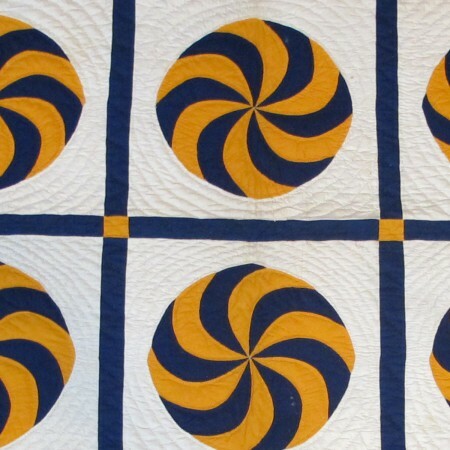 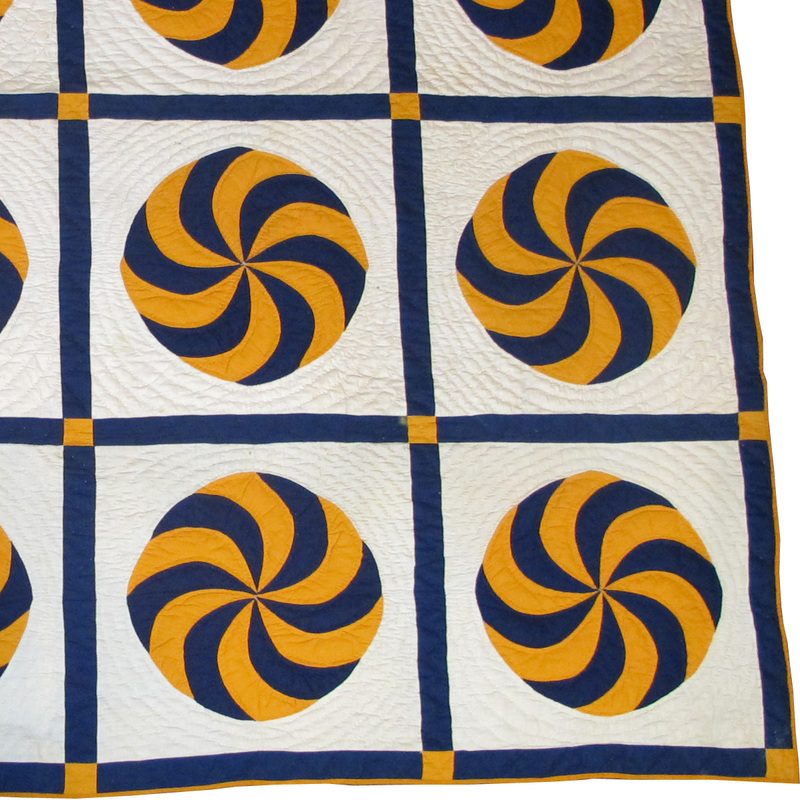 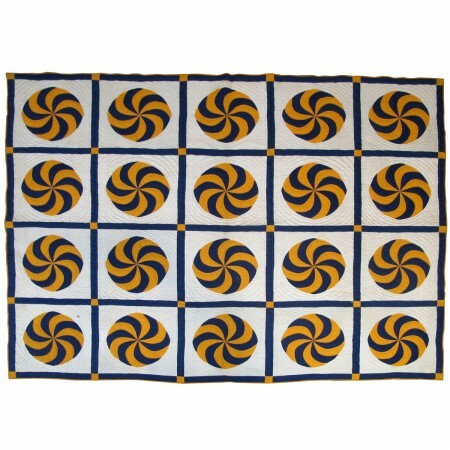 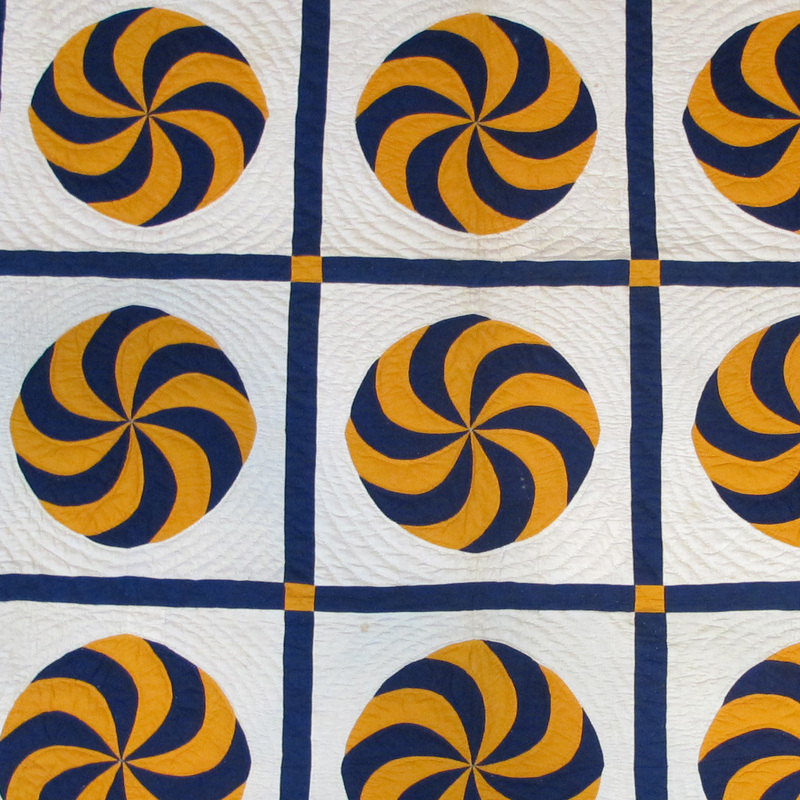 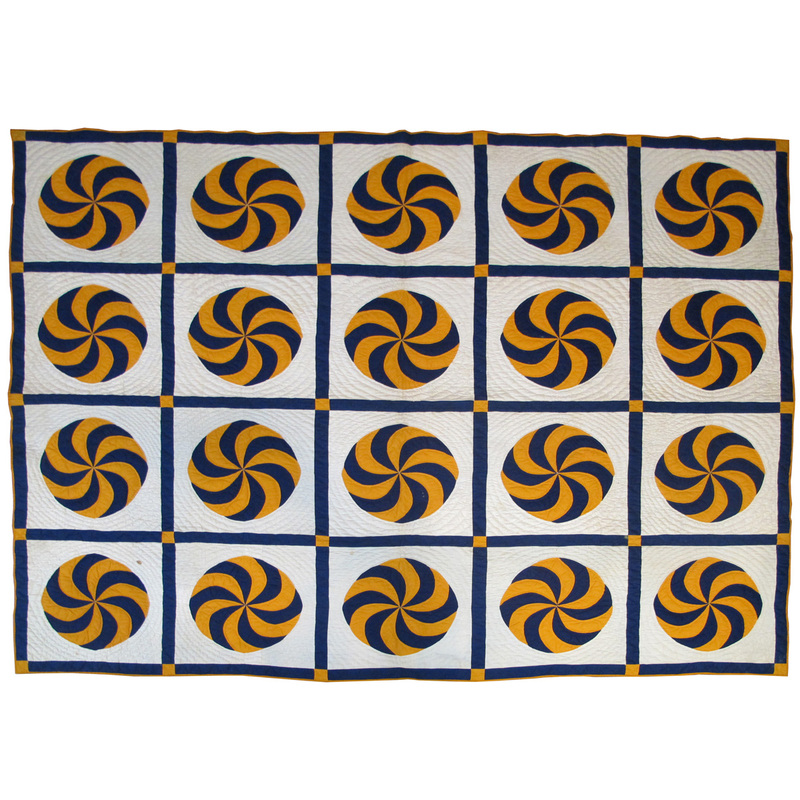 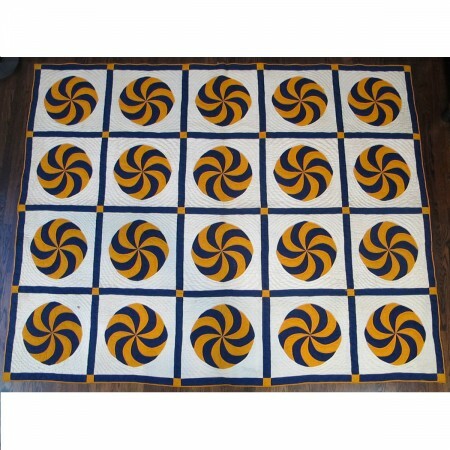 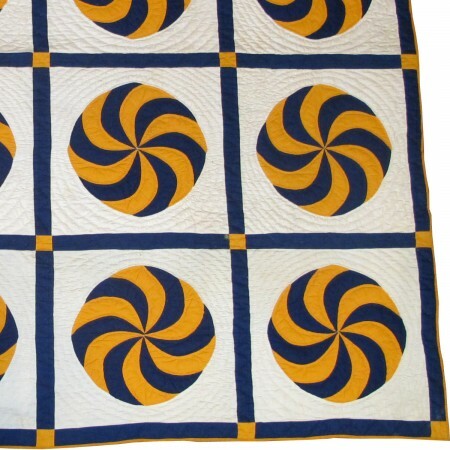 Navy blue and cheddar pinwheel quilt, 6-7 stitches to the inch. The back is solid brown, the hand stitched binding is solid cheddar, and the batting is thin. The quilt is probably southern. Height: 7 ft. 10 in.